Are here for sure and we have some tempting projects just waiting to be started. This week we received from The Trilogy a sweet little kit perfect for “heart season” or an any time gift for a friend. 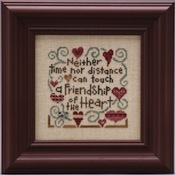 REUNION OF HEARTS features a simple friendship verse topped by a collection of stitched hearts and a silver charm. Fun project. Yes, there is yet another series this year from Little House Needlework. 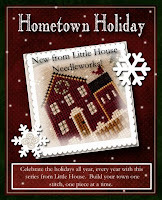 The new one is called HOMETOWN HOLIDAY! 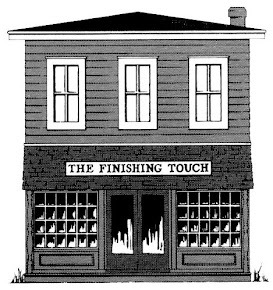 This is a collection of little buildings and scenes that you can make as dimensional objects or frame. The first design called “My House” could be the beginning of creating your own town, one stitch at a time. This is not a monthly series but will have additions as the designer desires. We have a list going of those who want to receive this series. 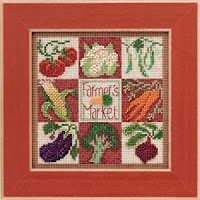 The JBW Designs trunk show is still in our shop for another two weeks. Stop by and enjoy. Mill Hill BUTTONS & BEADS Kits for Spring are available now. 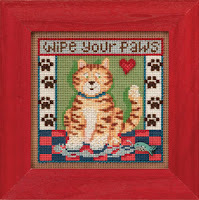 They include Puppy Paws, Farmer’s Market and Kitty Paws. 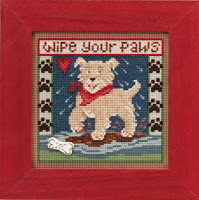 Fun projects stitched on perforated paper. 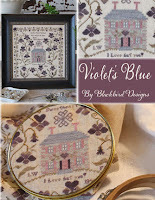 VIOLET’S BLUE, another new Blackbird Designs offering is a beautiful colonial home surrounded by gorgeous spring violets. Included are some creative suggestions for using and finishing these designs. Watch your email for info. about Super Bowl Sunday festivities.